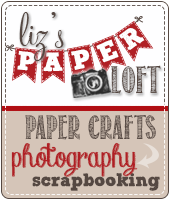 Liz's Paper Loft: Color Challenge Time with EAD Designs! 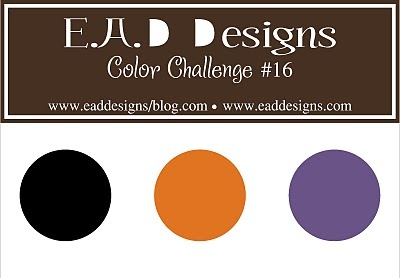 Color Challenge Time with EAD Designs! Welcome to EAD Designs's Color Challenge! This month we were asked to use Black, Orange and Purple! 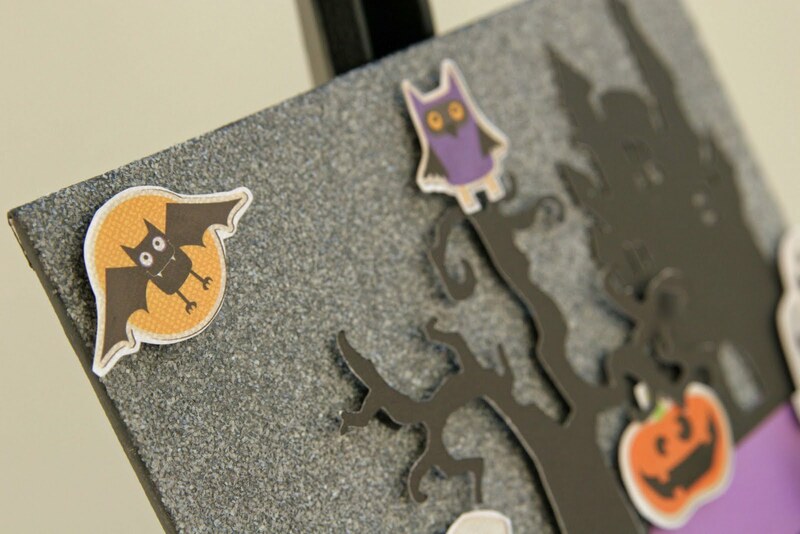 Of course that means it's almost time for Halloween! For this challenge I wanted to make a project that didn't require a lot of Cricut cuts. Good thing because while trying to cut with my new Teresa Collins Chic and Scary cartridge, my Gypsy kept saying I had a security breach! HUH?! Who's been using my gyspsy without me? hehehe Well after four hours and 2 calls to my favorite place (Provo Craft, it really is! ), it looks like my gypsy and Miss Collins aren't getting along! So I'll have to call them again tomorrow to see about getting my cart replaced. It cuts without the gypsy, and all my other carts cut fine with the gypsy! I guess they're just not good together! lol! 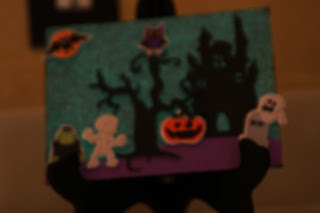 I first painted the canvas board, then used Glossy Accents all over for the glitter to adhere to. I used MS glow in the dark glitter for the background. Click here to enter the challenge and don't forget to check out the other girls on the DT! What fun wall art! That is so sad about your Chic and Scary cartridge. I can't wait to see what you make with it when you finally get it! I'm like you, when my gypsy isn't behaving as it should I will spend the entire day fixing it instead of just putting the cart into the circut lol! Those stickers are pretty freakin adorable, I think my fave so far! 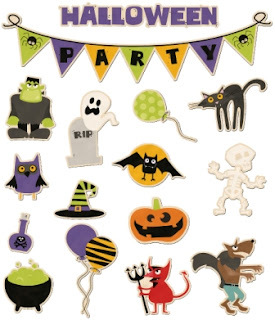 BTW love your halloween stuff too! I'm collecting papers, punches and hopefully C&S to play with. the detail on this is just crazy amazing! Love it! It does get frustrating when our technology won't coperate. My spelling is bad today. Love what you created. Adorable! Glow in the dark glitter! WOW, awesome! Awesome project! I love it! 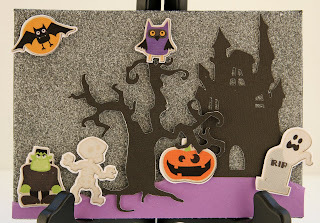 The Scrapbooking Queen's Royal Hop Day 5! Fur Babies Friday ~ Guest Designer! 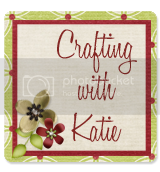 The Scrapbooking Queen's Royal Hop Day 4! My Creative Time Throwback Thursday Challenge! One Card Two Challenges! 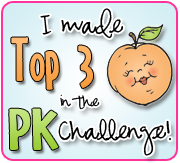 And Another Challenge! 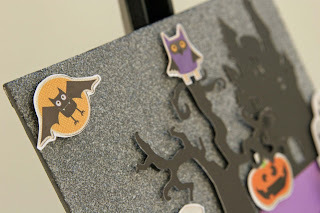 The Scrapbooking Queen Royal Hop Day 3! 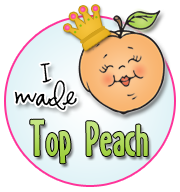 The Scrapbooking Queen's Royal Hop Day 2! The Scrapbooking Queen's Royal Hop Day 1! Monday Hop with EAD Design's! 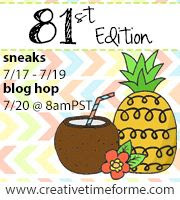 My Creative Time's September Release Hop! My Creative Time Dies & The Big Shot! My Creative Time's September Release ~ Day 4! My Creative Time's September Release ~ Day 3! My Creative Time's September Release ~ Day 2! 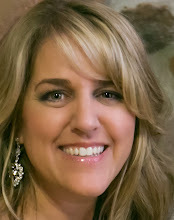 EAD Designs and Softpencils Studios Together!